Are your retail systems holding you back? Old, costly retail system holding you back? A brief synopsis of our company and what we do. 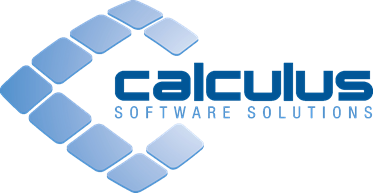 Calculus Software Solutions produce the market-leading NCompass Advanced Retail system, which helps you grow your business, boost your reach and improve your efficiency. Every solution includes full implementation, support and advice from our retail-experienced consultants, and is backed by our highly-rated support team. NCompass Advanced Retail is a powerful software package that transforms a standard computer into an easy-to-use system to help you run your business on a daily basis. Extend the power of NCompass Advanced Retail Professional and Enterprise editions into the hands of your delivery drivers and field service engineers. A website is important for any serious business, but it is even more important to keep that website up-to-date. Our Magento Integration allows you to do just that, from within NCompass. We guarantee you'll find something you'll like! Take a look through our website showcase to see all the latest developments, integrations and websites we've created. If we've peaked your interest why not take a look at our E-Commerce offerings? Keep up-to-date with all of our latest News, Events and Developments. If you'd like to receive periodic notification from us, why not sign up to our newsletter? Want to unsubscribe? Click the unsubscribe link at the bottom of our newsletter.